In April, 1929, at a special school meeting, it was voted to erect a three department school building on the east side of Lyons Street on the hill south of the village. The ground for the building, consisting of one half acre was purchased from F.A. Patrick for the sum of one thousand dollars. It was a portion of his farm,owned and operated by him at the time. The excavating for the basement began in June, 1929, this work was done by local laborers, hired by the school board. The remainder of the work of constructing the building was let by contract to the lowest bidder, which went to August Arndt, contractor from Markesan,who received the sum of three thousand dollars. The material for the building cost nine thousand seven hundred and twenty nine dollars, and was purchased from the Fuller Goodman Lumber Company of Markesan. The plumbing and heating equipment was installed by H. Hotmar of Princeton, at a cost of two thousand dollars, making the total cost of the building $15,729.00. 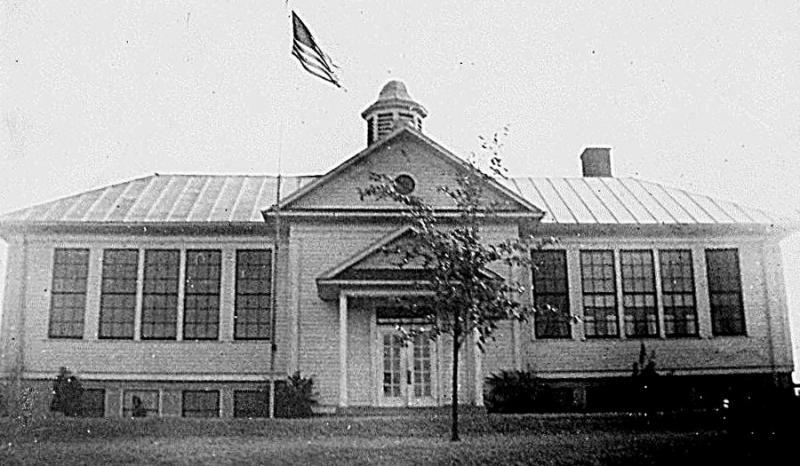 The building was completed in December and was opened for school duties after Christmas vacation at the beginning of the year, 1930, with Claude Breneman of Dalton, principal, and Mrs. Pearl Schwandt of Markesan and Ava Kohn of Marquette, assistants. The last term (at the old school?) was finished with ninth grade work and the junior high school work began at the opening of school the following year. The members of the school board during the building period were, Mrs. Esther Buskirk, clerk,Rina Folske,treasurer, and Ross Gray, director. 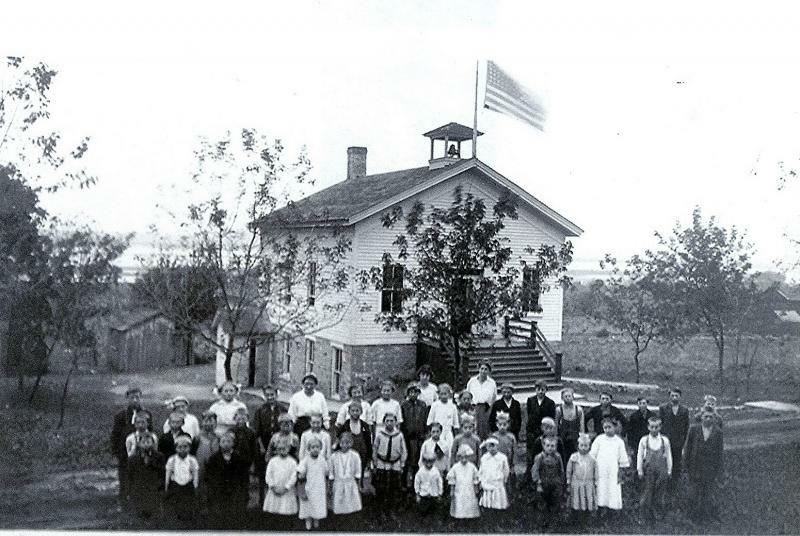 The school building which no longer exists,was located on a pleasant spot on the hill with a rather picturesque view that overlooked the Village of Marquette and Lake Puckaway. 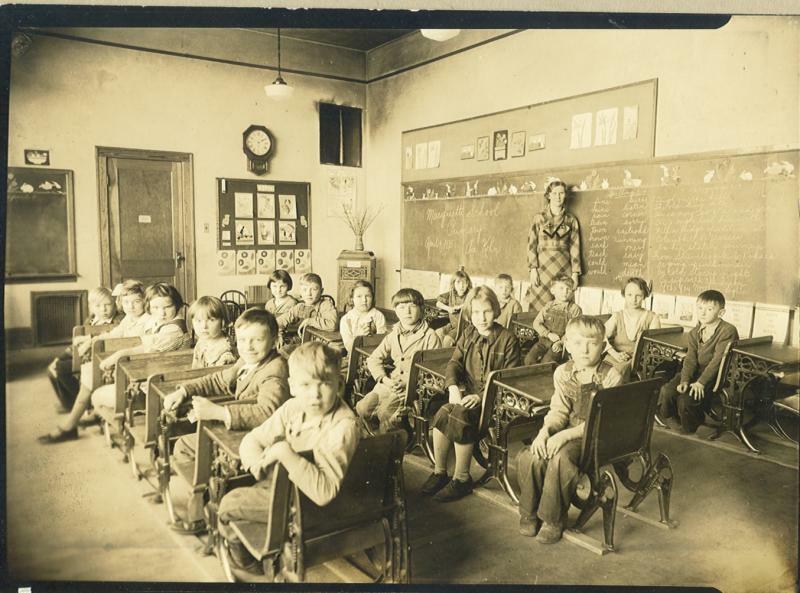 Classroom picture from 1937. 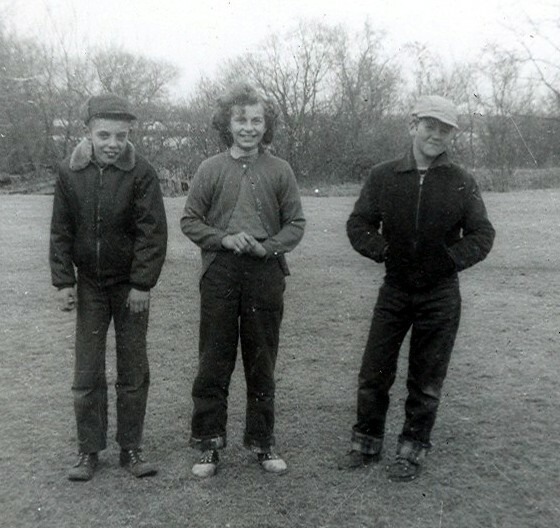 Ava Kohn, teacher, standing. The old school building located in the village of Marquette at the northwest corner of Promenade and Second Street,having become inadequate for school purposes due to age and lacking modern facilities could not be used any longer for its purpose, and meet the requirements of the State Department of Public Instruction. 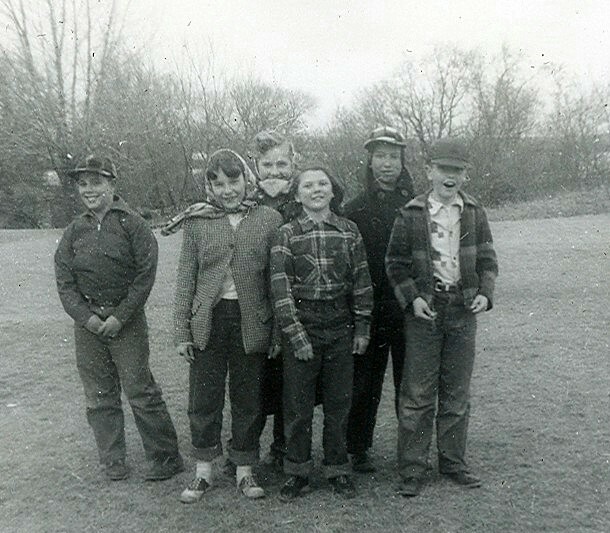 It was built in 1855 and used for school purposes, up to the time of completion of the new school. The building incurred damage from a fire and reconstruction resulted in a new, lower roof. The building is currently owned by the Everett Mallow family and used as a summer house. Previously, Attorney Harry Stel, of Marquette, was the owner of the building and used it in the manufacturing of white-wall cleaner for automobile tires. 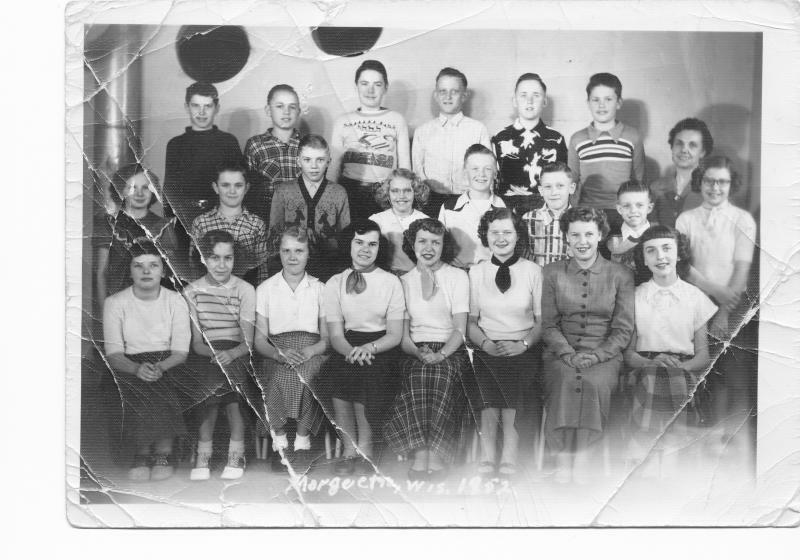 The date of this photo is unknown as are the names of the students and teachers in this photo. 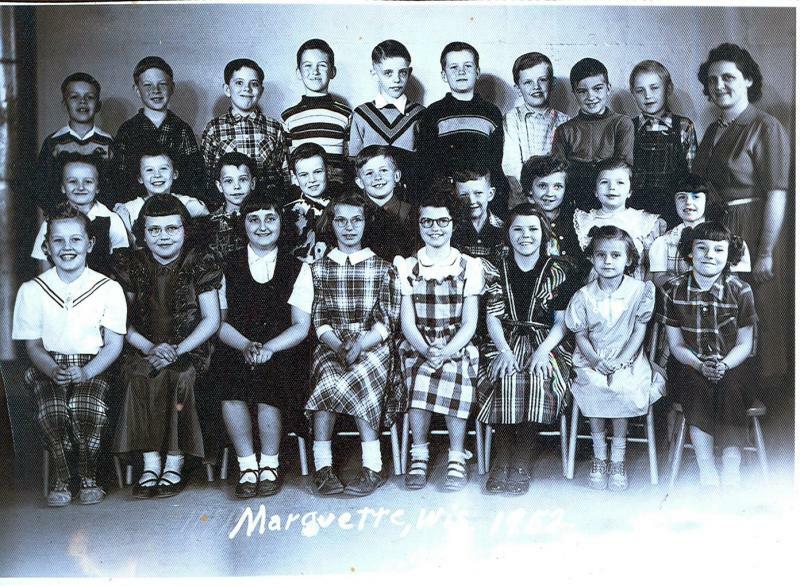 The Marquette Historical Society would appreciate having more complete information about this public school in Marquette. 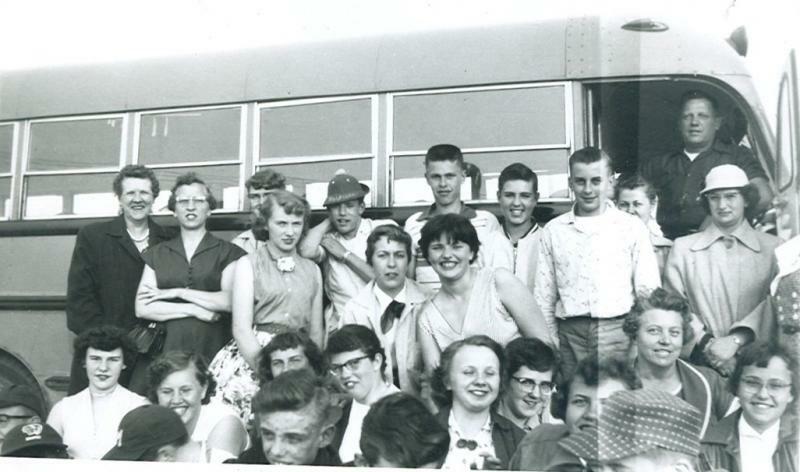 A larger photo will be posted so someone might recognize some of the students/teachers pictured and let us know.